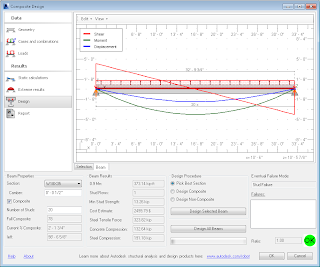 "This application helps perform basic structural analysis and design calculations of composite steel beams in a Revit Structure model. 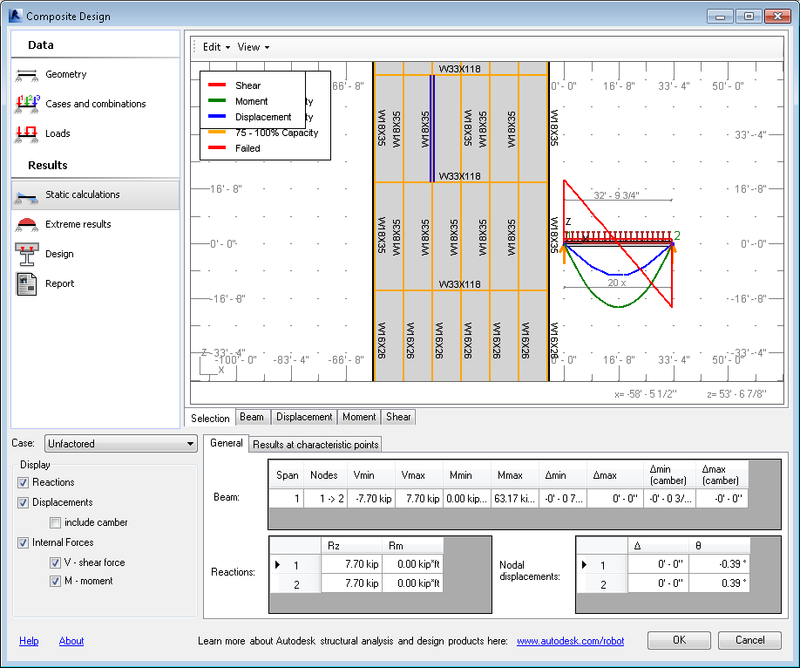 "Using this application, you can more quickly design / check the behavior of composite beams or you can design an entire composite floor system on a floor by floor basis within a single Revit Structure model. 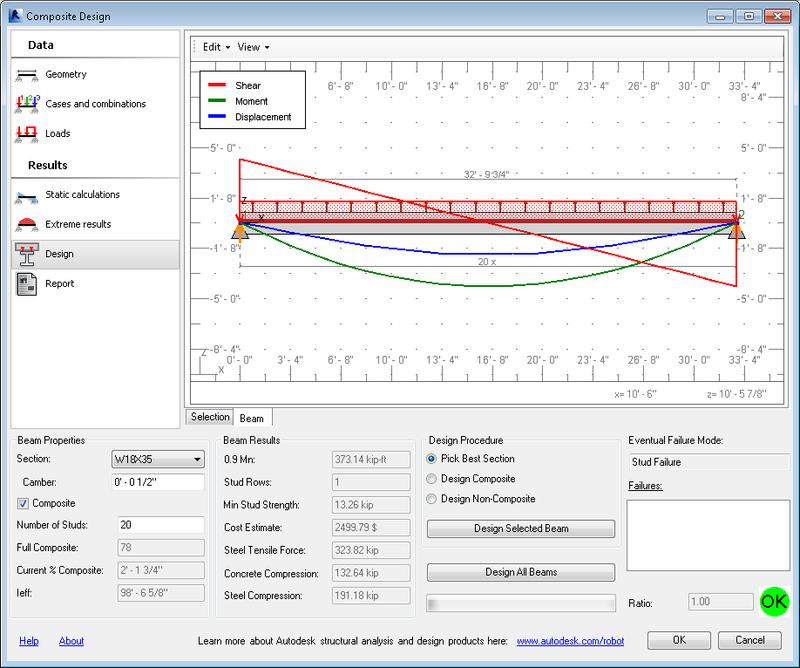 "The feature works for general composite steel beam design, but will also function for non-composite design. All design is based on AISC 360-05. 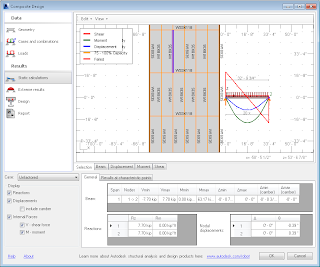 "Full bidirectional integration with the Revit Structure model is achieved using this application."